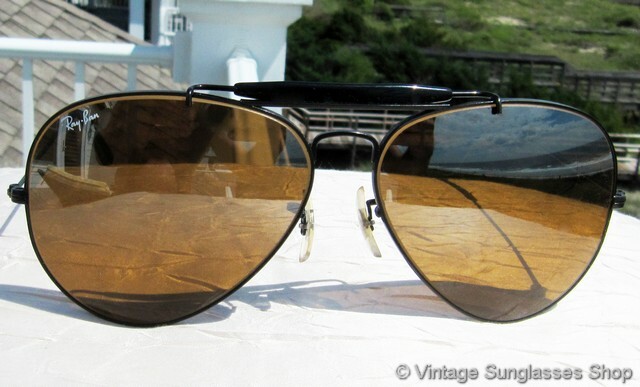 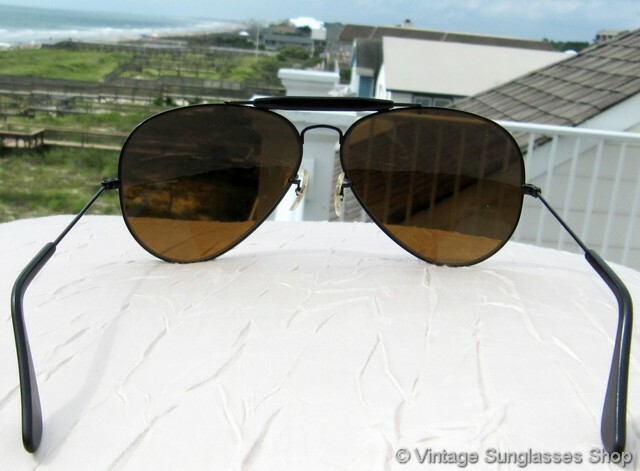 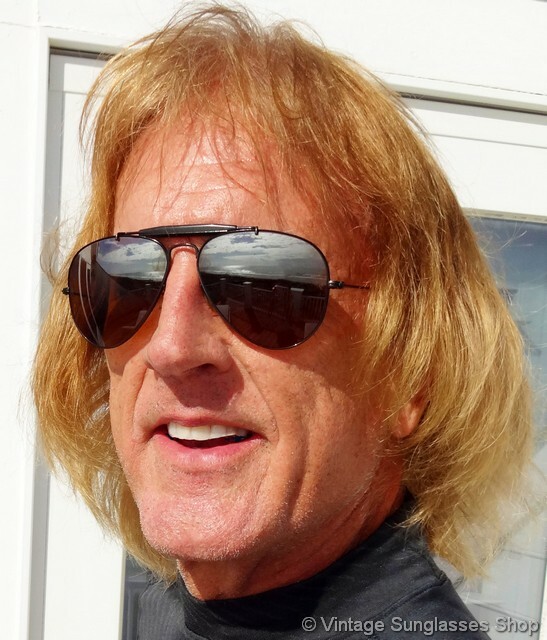 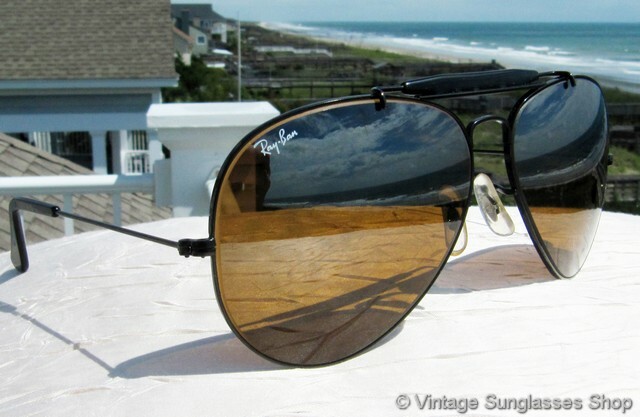 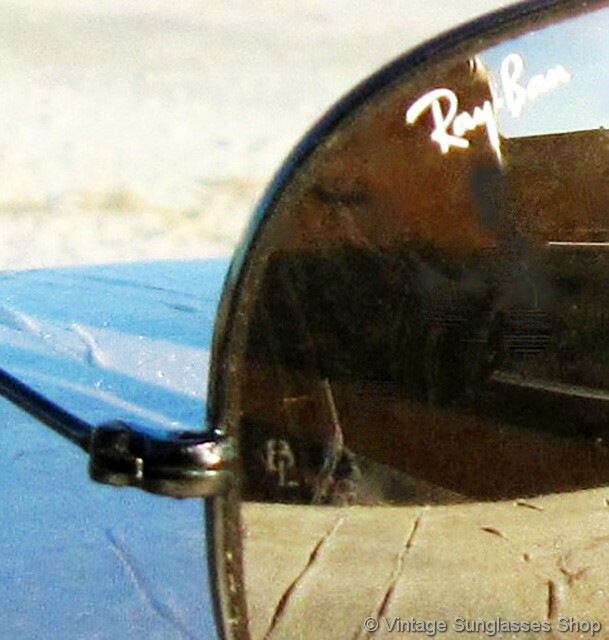 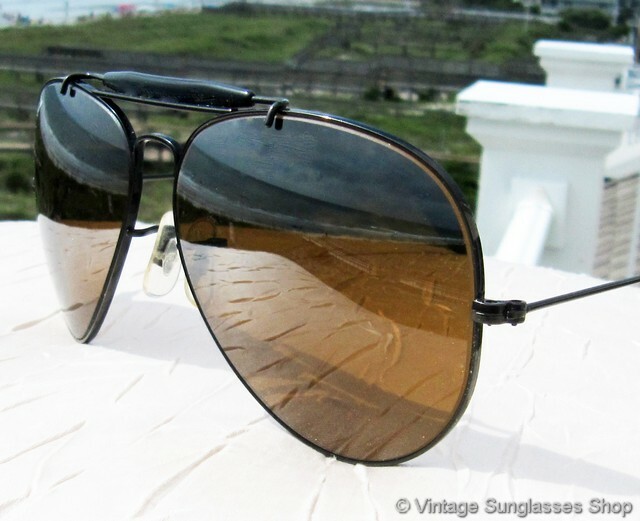 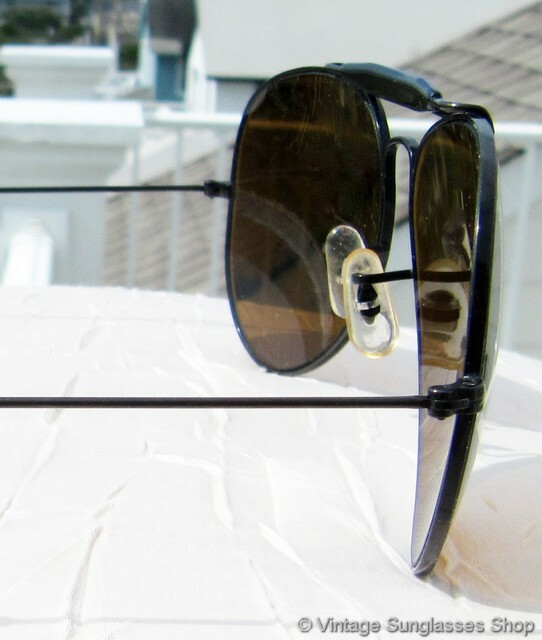 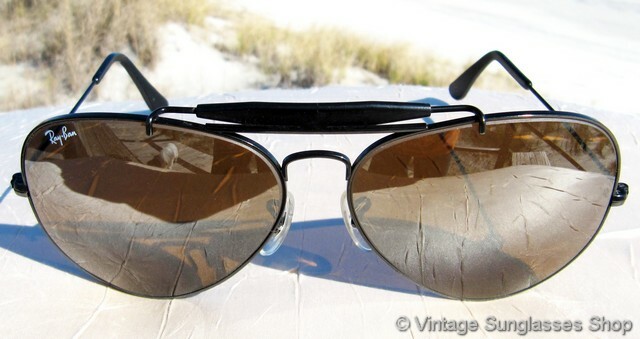 1 Vintage Ray-Ban black chrome Outdoorsman Driving Series sunglasses are a low production variation of the more common gold plated version, but the real stars of the show here are the B-15 high contrast top gradient mirror (TGM) lenses. 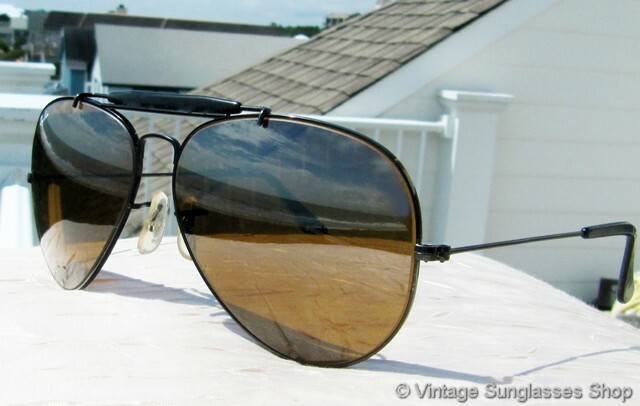 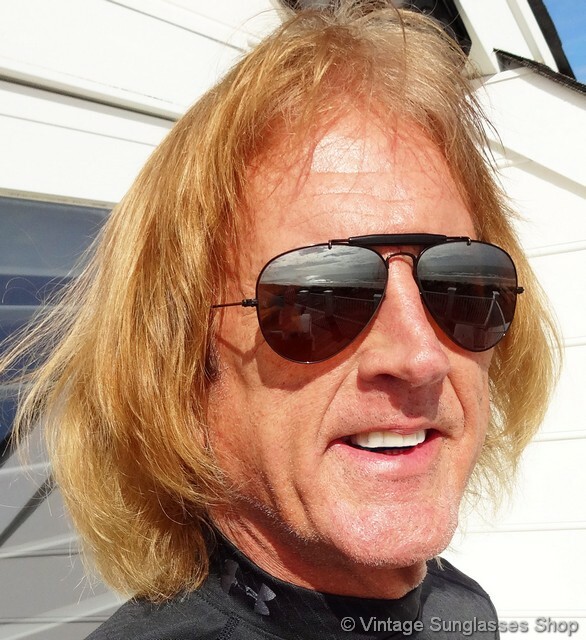 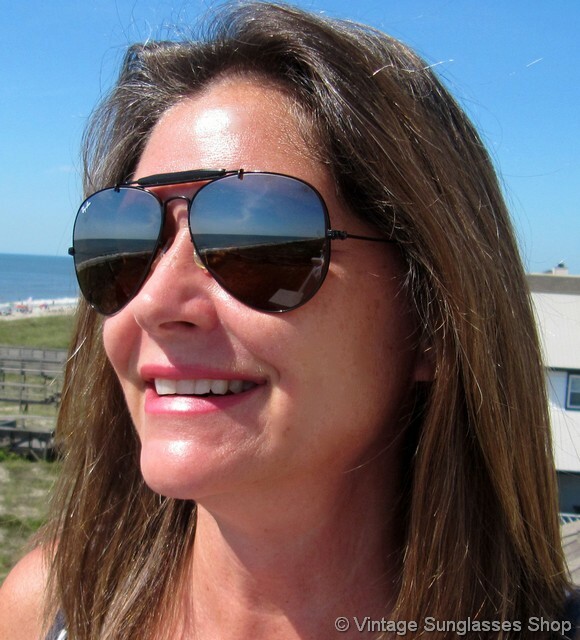 The combination of black chrome frame and the brown base Bausch & Lomb B-15 TGM mineral glass lenses in the classic aviator sunglasses shape is a perfect color complement, and the black "General" brow bar improves the balance of the sunglasses on the face and adds extra design flair. 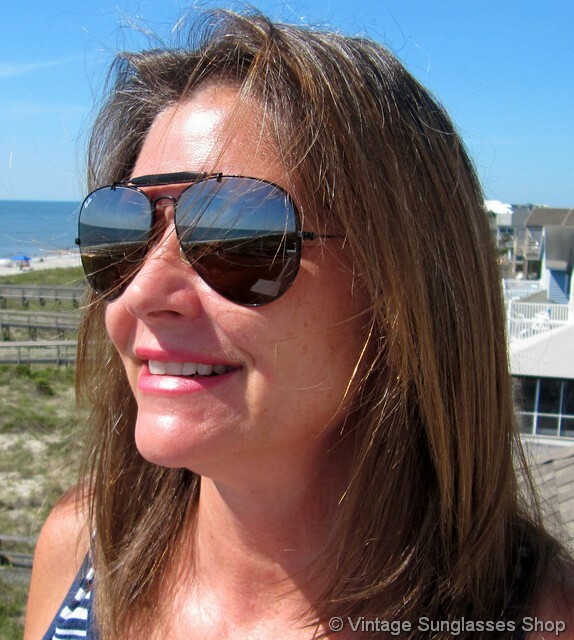 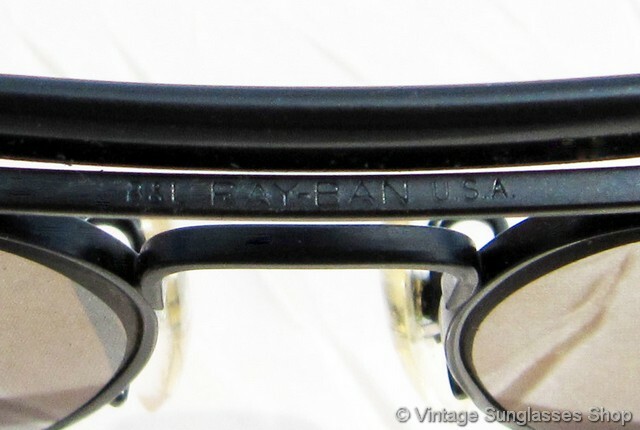 The unisex black chrome Outdoorsman frame measures approximately 5.5" temple to temple, and the 62mm B&L B-15 top gradient mirror lenses measure approximately 2.25" x 2.0" at the widest points with right lens laser etched Ray-Ban and both lenses laser etched BL near the hinges. 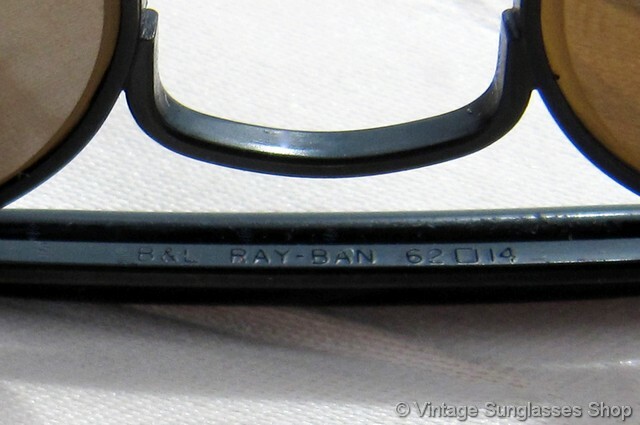 The top of the nose bridge is impressed B&L Ray-Ban USA while the bottom of the bridge is impressed B&L Ray-Ban 62  14, part of the collection of a well known music industry figure and customer of the Vintage Sunglasses Shop. 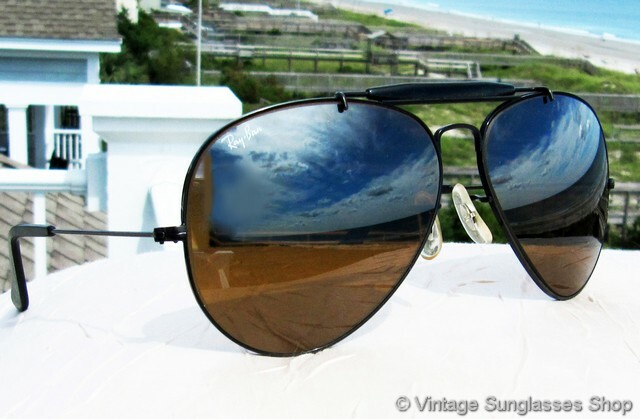 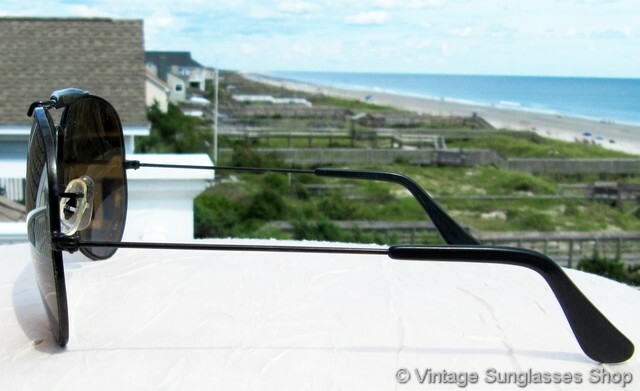 2 Step up another level beyond our already unequaled vintage condition standards with new old stock Ray-Ban black chrome General 62mm B-15 top gradient mirror sunglasses from the Ray-Ban Driving Series in mint, unworn condition.